Panama City, Panama, April 6 & 7, 2017 – Belize’s Ombudsman Lionel Arzu, accompanied by his Legal Officer, chaired an Extraordinary Session of the Central American Council of Human Rights Defenders and Ombudsmen. The Extraordinary Session was convened primarily to review a Letter of Commitment to formulate and implement, subject to available resources, national and regional strategies to deal with migration affecting the region. 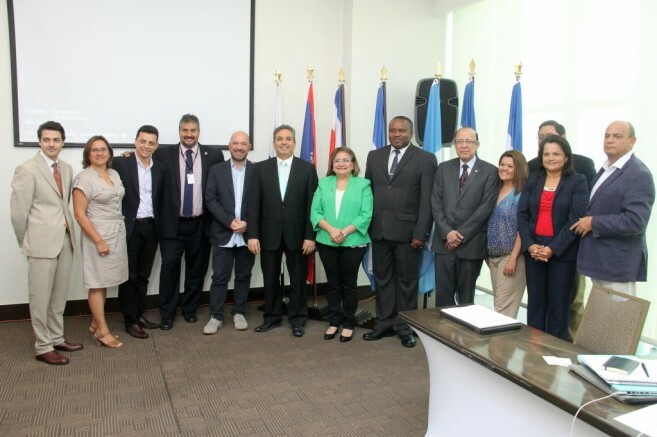 The United Nations High Commission for Refugees (UNHCR), through its regional office, financed the two-day meeting in Panama City. During the extraordinary session, presentations were given by representatives from the UNHCR, El Salvador, Honduras, Costa Rica and other Council members. Presentation topics included the present situation of migrants in Central America, which is thought to have reached a crisis level; the needs for consular and human rights protection for migrants, especially asylum seekers, refugees and those internally displaced; models for detentions centers and programs to house and reintegrate migrant families and returnees; and, regional collaborative mechanism among Defenders, Ombudsmen and others institutions to help protect and promote the human rights of migrants. At the conclusion of the Extraordinary Session, the Council had revised a draft Letter of Commitment, which will be signed by Council members in the near future. The Council also formulated a Press Release in support of Human Rights Defenders and Ombudsmen, who face threats of violence and other reprisals for their investigative work. All in all, the Extraordinary Session is considered to have been productive.